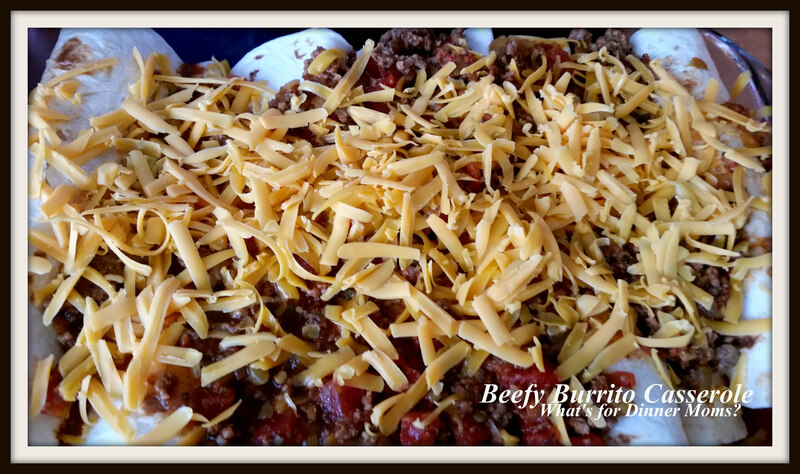 Beefy Burrito Casserole – What's for Dinner Moms? Simple is the keyword right now. My family loves burritos but it is just not something I think of making on a regular basis. I don’t know why because they are so easy to make. Add some lettuce, tomatoes, onions, sour cream and guacamole and I feel like I don’t even need to add a salad to the meal! Again, as the school year begins to wind down the simpler my meals need to be. Another simple hit for dinner! My daughter made dinner last night and the hardest part? Cooking the ground beef. She was very pleased with the flavor in this. She did add a bit more cumin to the recipe once she tasted it to balance the flavors. Everyone told her how delicious it was. You could easily customize this recipe to add chicken, beans, pulled pork, whatever you have on hand! We served this with a plate of cut vegetables. Cook ground beef and onion over medium heat in a large skillet. Break it up into small pieces as it is cooking. When meat is completely cooked through drain any fat from the pan. Add 1 cup salsa, tomatoes, chiles, and seasoning mix to the meat. Stir well. Taste and adjust as needed. We added more cumin to our usual taco seasoning recipe. Preheat oven to 350 degrees. 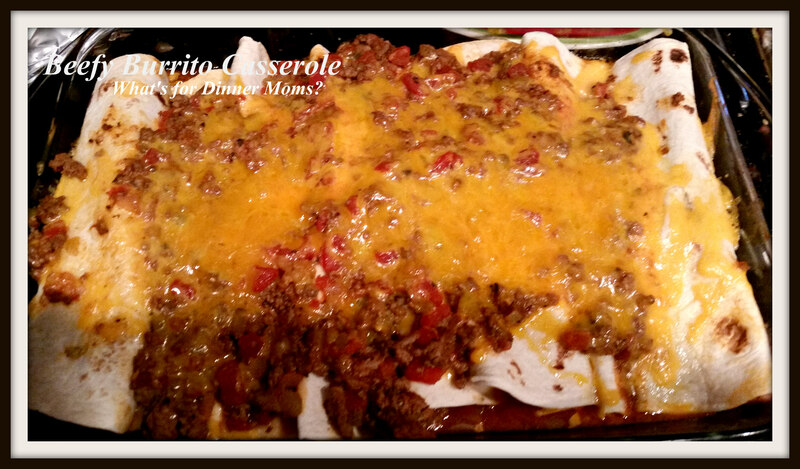 Add 1/2 cup salsa to the bottom of a 13″ x 9″ casserole dish. Spread it evenly over the bottom of the pan. Place meat and cheese (use about 2/3rds of the shredded amount) down the center of the tortilla and roll. Place in pan seam side down. Cover tortillas with remaining salsa and meat sauce (1/2 cup) spread it over the top to cover all the tortillas to completely cover them. Bake for 15 minutes. Remove pan from oven and sprinkle with remaining cheese. Return pan to oven and bake for 10 minutes until tortillas are heated through. Remove pan from oven and allow to rest for 5 minutes before serving. So nice to have that help and a great skill to learn! She is doing a great job cooking!